Gather your supplies, and get ready to begin.... 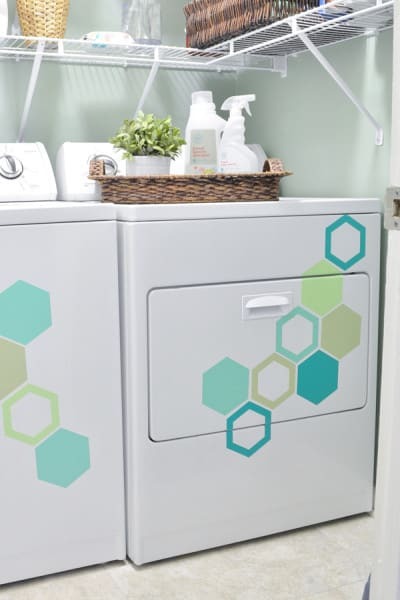 Step 1: Take your decals and cut out each hexagon. 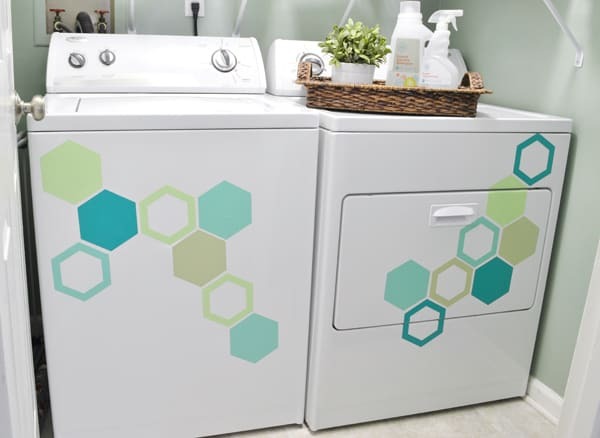 Using the painters tape, tape each hexagon to your washer and dryer, rearranging your shapes until you are happy with the design. 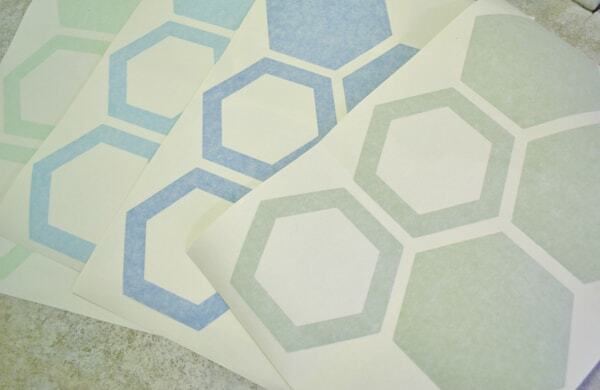 You'll have to step back from your design every now and then to make sure each hexagon is straight and level. Once you are satisfied with the design, it's time to start applying the decals. Step 2: Now it's time for the fun part! 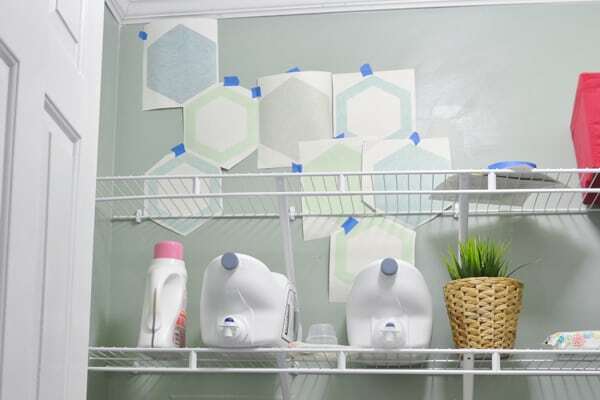 Take your first hexagon, and, using the tape as a hinge, flip up decal and peel off backing. Lay decal back down carefully and starting from the center, squeegee the vinyl decal firmly. Next, carefully peel back the transfer tape. To do this, start at a corner and peel the transfer tape off at a 180 degree angle-back and down rather than up and away. 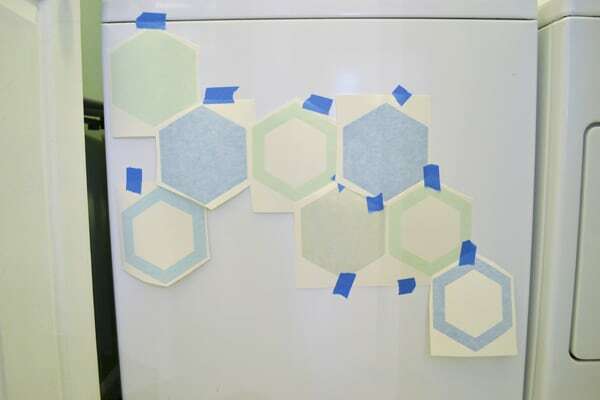 If necessary, use your fingers to press down on the hexagon as you peel back the tape. Repeat for the rest of your hexagons. Please forgive the lighting...even with new fancy-schmancy daylight bulbs installed, it still was a trial getting decent pictures in this room. Ugh. But wait! Is that polka dots you see? Why, yes! It is! 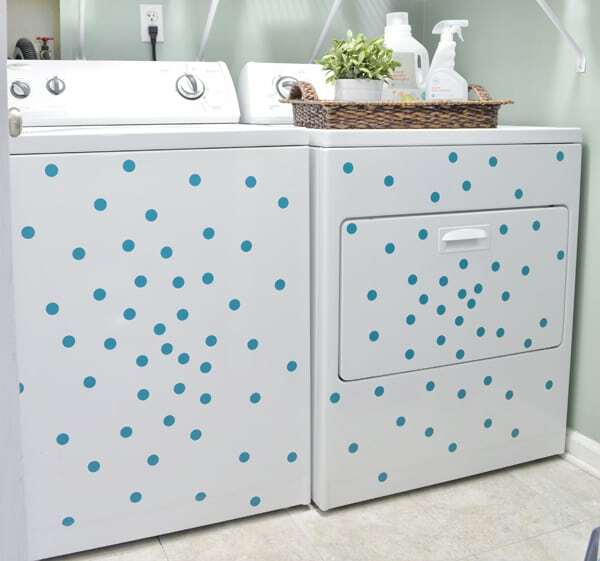 I mean, really, who doesn't love the polka dot trend out there? 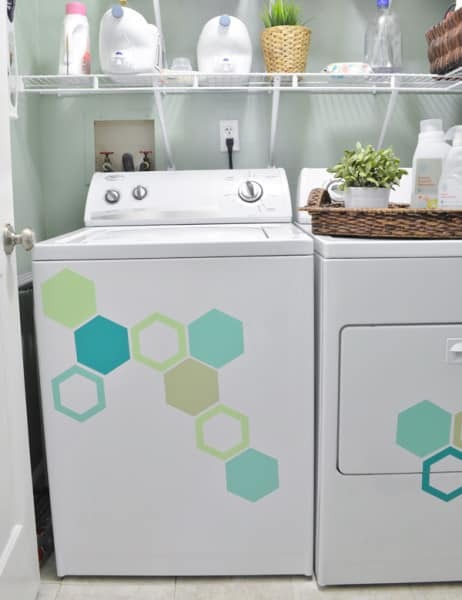 If hexagons aren't your thing, you can easily gussy up your laundry space with these polka dot decals from Belvedere Designs. 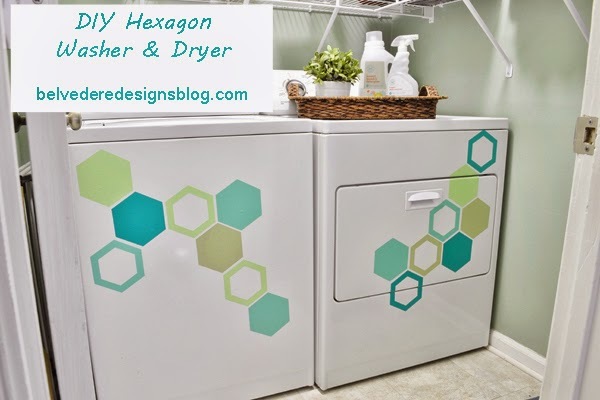 Choose your color, and apply in the same way as you would the hexagons. Easy peasy. Head over to Belvedere Designs to pick up this, or one of their many other, vinyl decals! 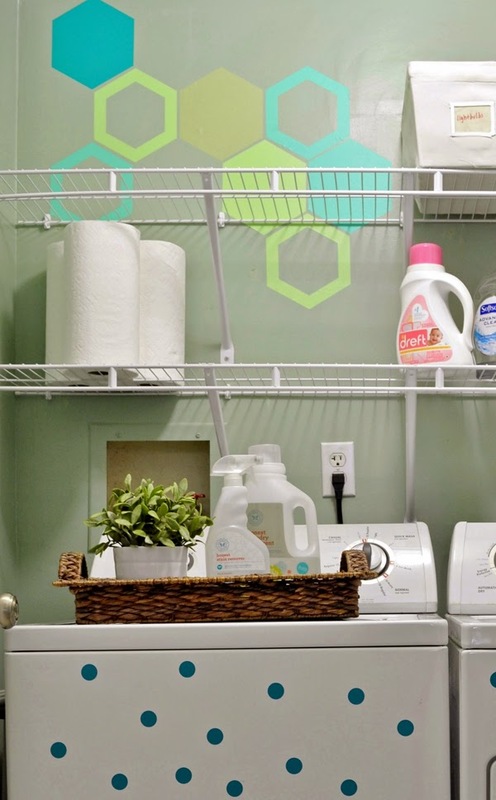 Also, be sure to check out our Tutorials Page where we have lots of DIY projects and crafts to inspire you!